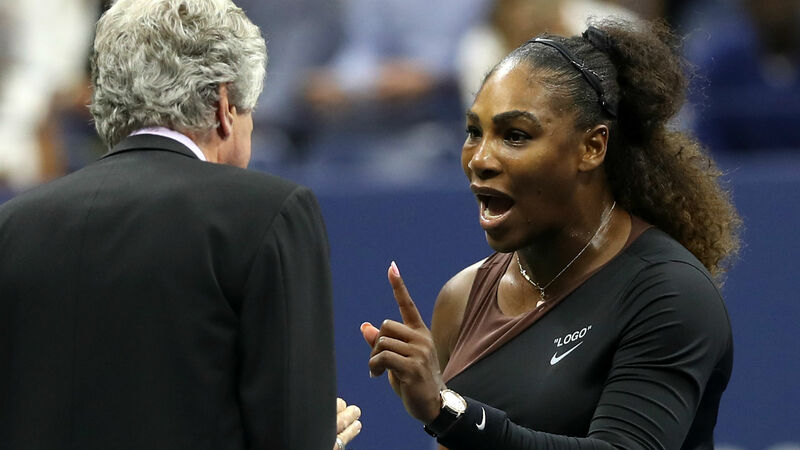 NEW YORK — An emotional and defiant Serena Williams argued she had been treated differently by umpire Carlos Ramos than a man would have been in the same situation, following the pair’s stunning row in the final of the US Open. Williams was beaten 6-2, 6-4 by Naomi Osaka, but the 20-year-old’s historic triumph — the first by a Japanese player in a grand slam singles final — was sadly overshadowed on a truly remarkable evening in New York. Yet that was just the beginning of the drama as the 23-time slam singles champion, who remains one shy of Margaret Court’s record haul, then earned a point penalty for racket abuse before being sensationally docked a game after she had continued to berate Ramos, calling the official a “thief”. “I don’t know. You definitely can’t go back in time. I can’t sit here and say I wouldn’t say he (Ramos) is a thief, because I thought he took a game from me,” she responded. “He alleged that I was cheating, and I wasn’t cheating. “For me it blows my mind. But I’m going to continue to fight for women and to fight for us to have equal (rights) … like Cornet should be able to take off her shirt without getting a fine. This is outrageous,” an unrepentant Williams continued. Cornet was not actually fined. Before leaving the room, to a smattering of applause, she added: “I just feel like the fact that I have to go through this is just an example for the next person that has emotions, and that wants to express themselves, and wants to be a strong woman.